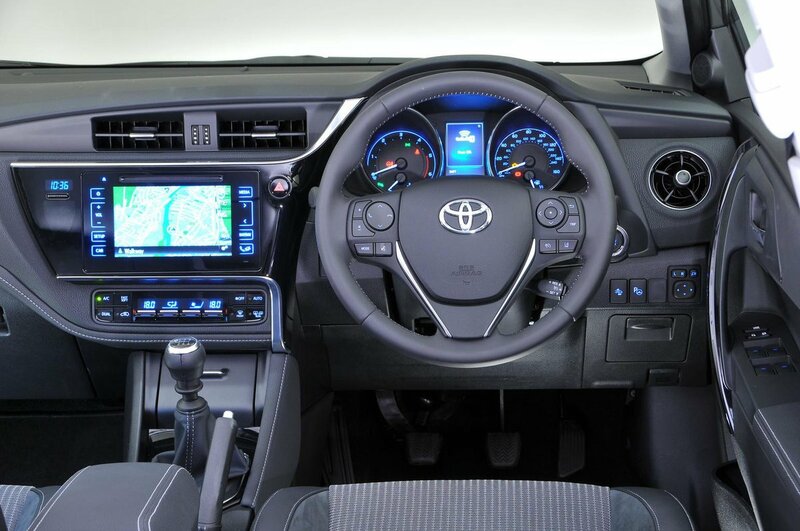 Toyota Auris Interior, Sat Nav, Dashboard | What Car? 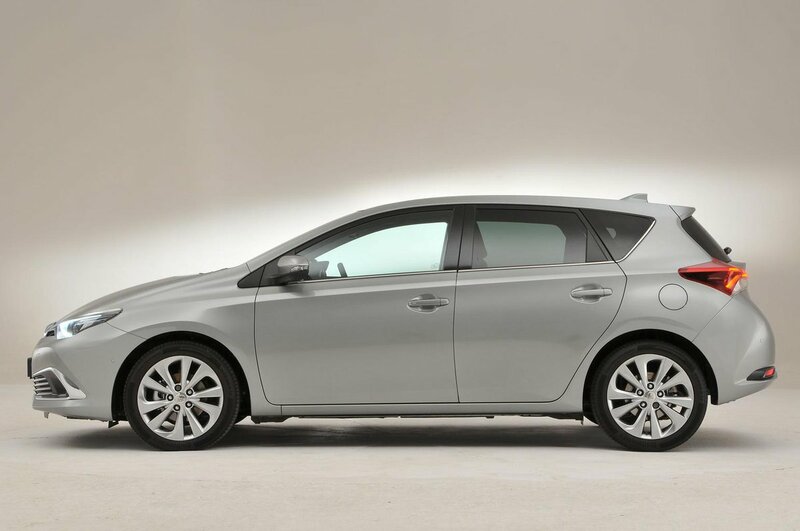 A good driving position should start with a comfortable seat, and the Auris has just that. The cushions are firm enough to be supportive, but without feeling too hard. Seat height adjustment is standard on all versions, but you have to go for Business Edition or range-topping Excel to get adjustable lumbar support; it’s not available on other trim levels. The steering wheel adjusts for rake as well as reach, although it doesn’t have a huge amount of movement in and out, so if you’re tall you may find your arms are at full stretch to reach it. At least all the pedals are roughly in line with the seat and steering wheel, which means you don’t have to sit at an angle when driving the car. In general, the switches are within easy reach, and all models get steering wheel-mounted infotainment controls to help maintain your focus on the road ahead. 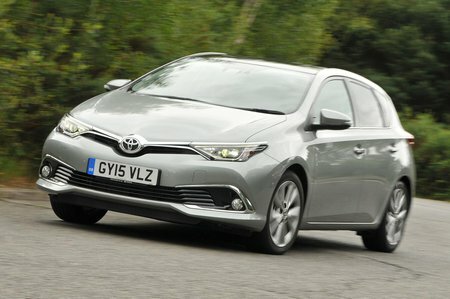 The only oddity is if you have a non-hybrid Auris with heated seats. If you do, the switches for the seats are stuck behind a panel on the centre console, which you need to open every time you want to check or adjust the heat settings. 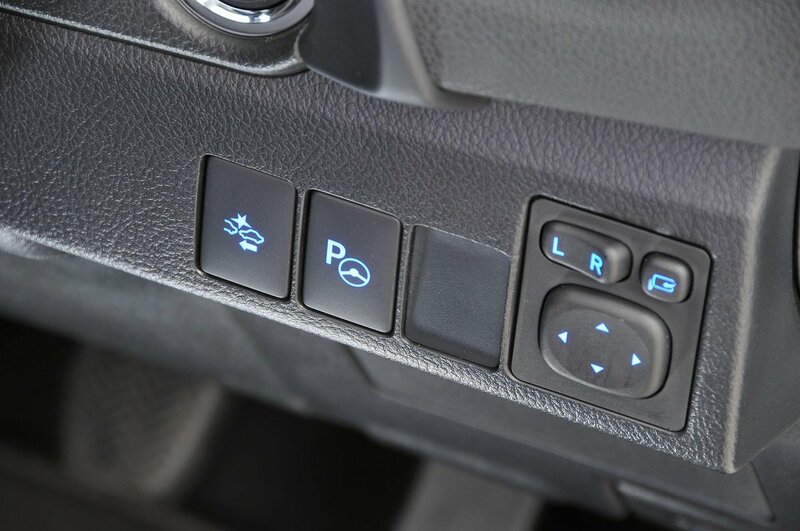 The controls in hybrid models are in roughly the same place, but they’re not covered by a panel, so are easier to access. Behind the rather long but easy to reach manual gearlever is an adjustable centre armrest to rest your left elbow on. You have a good view forwards through the windscreen, but the thick pillars can block your view diagonally, particularly through right-hand bends. The shallow rear window and the size and angle of the rear pillars also limit your view out of the back and over your shoulders. Parking sensors are standard only on range-topping Excel trim, but all other models bar entry-level Active ones come with a rear-view camera to assist with reversing manoeuvres. The door mirrors – which are heated on all models for added visibility in winter months – are well positioned and big enough to give you a good view of what’s coming up alongside you. Unlike in some rivals, though, a blindspot warning system isn’t available. If you opt for the Toyota Safety Sense pack that we recommend, you get headlights that automatically switch between dipped and full beam to help maximise your vision at night. Entry-level Active versions have USB and aux-in sockets, a CD player and steering wheel-mounted audio controls. However, you need to go for Icon – the next trim level up – to get a 7.0in touchscreen system that also includes Bluetooth and a DAB radio. 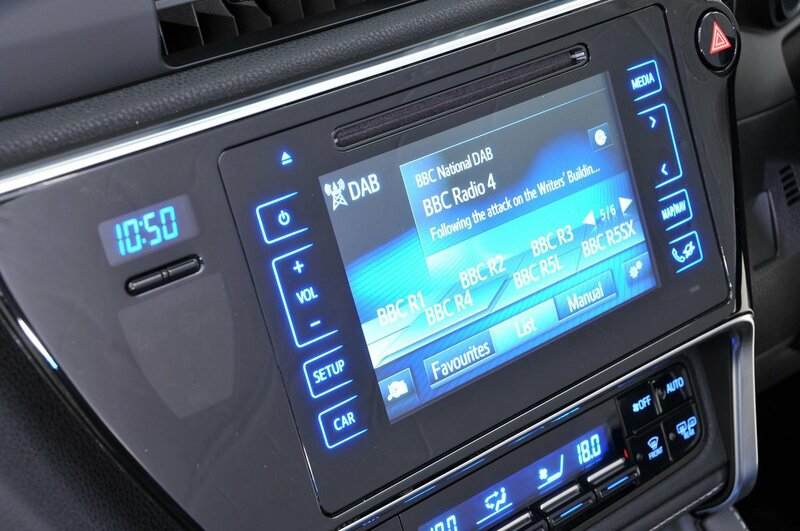 From Business Edition upwards, this system features sat-nav as well. It takes a little while to familiarise yourself with the touchscreen system’s menus, but the common tasks, such as entering an address in the sat-nav or pairing a phone, are simple enough to master. The screen is sometimes slow to respond to your inputs, though, which is frustrating and can take too much of your attention away from driving. For ease of use and responsiveness, the systems in a Skoda Octavia and VW Golf are better. 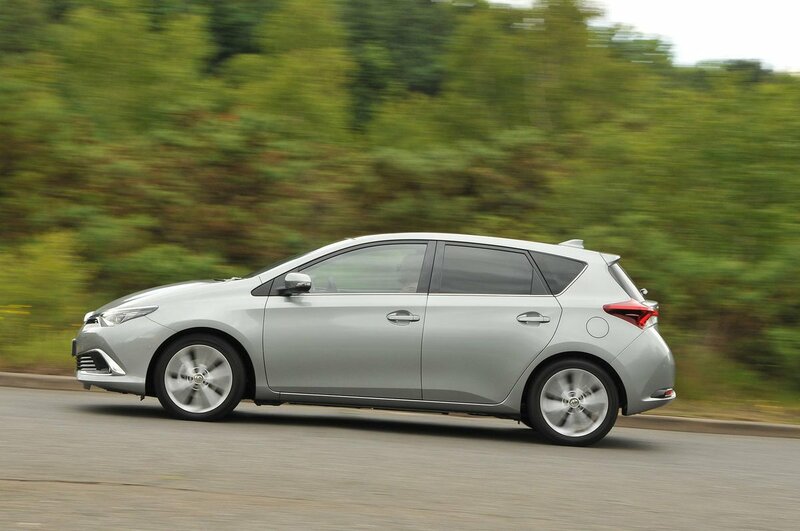 In general, the Auris feels like it has been built to last the rigours of family life pretty well. Its cabin feels well put together and there are hard-wearing materials throughout, but the quality of their surfaces is mixed. The soft-touch plastics on the upper parts of the dashboard and the gloss-black finish around the infotainment system, for example, look and feel fairly average, whereas areas such as the glovebox lid, door pockets and centre console use materials that aren’t as pleasing to touch. Apart from entry-level Active models, all versions have a leather-covered steering wheel that feels satisfying to hold.